← SWORD AND VERSE available for pre-order! I recently had the enormous pleasure of interviewing my good friend, Megan Morrison, about her debut middle grade novel, GROUNDED: THE ADVENTURES OF RAPUNZEL, for the Sweet Sixteens’ debut author interview series, The Debut Club. This is an extended version of that interview, in which we learn more about Megan’s influences as a writer and friends from her past return to ask her tough questions. Megan and I have been friends for almost fifteen years. We first met bonding over Hermione-centric Harry Potter fanfiction, and the intervening years have held lots of obsessing over fictional characters, matching tattoos (quills, if you must know), and writing – so, so much writing. I am so proud of Megan and what she has done with the Tyme series, and I can’t wait for everyone to read it! 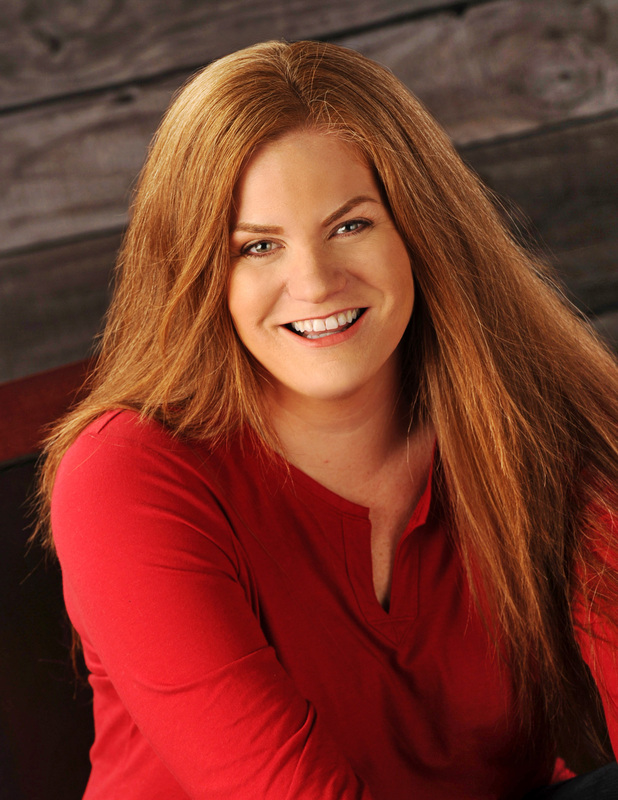 Megan Morrison spends her time having adventures with her husband and little boy, teaching drama and language arts to 7th and 8th graders, and writing fairy tales set in the world of Tyme, which she co-created with Ruth Virkus. When she’s not busy working on something or other, she enjoys obsessing over other people’s stories. She’s a huge, dress-up-in-costumes-and-scream-a-lot level fan of Harry Potter, Jane Austen, Star Wars, Firefly, and BioWare’s role-playing games. She lives in the Pacific Northwest, where she enjoys nature and coffee. Find Megan on her website, Twitter, Facebook, and Goodreads. You know about the tower, the hair, and the witch. But in the world of Tyme, they’re only the beginning . . .
Rapunzel knows only her magical tower and her wonderful Witch, who guards her against evil princes far below. But when a peasant named Jack climbs into her life, Rapunzel learns that Witch is in terrible danger — and to keep her safe, she must leave her tower and journey with Jack on a quest far across Tyme. There she finds a world filled with even more peril than Witch promised . . . and more beauty, wonder, and adventure than she ever dreamed. 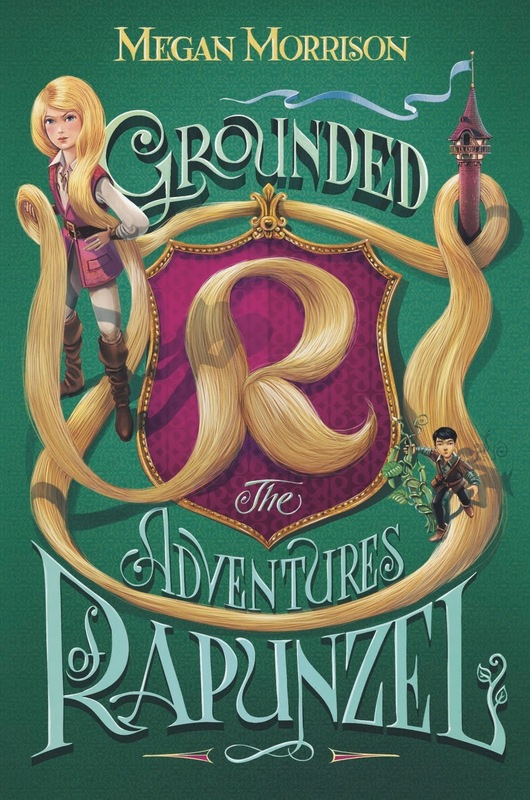 GROUNDED: THE ADVENTURES OF RAPUNZEL is the first book set in the land of Tyme — with many tales to come. It is available for purchase at Amazon, IndieBound, Barnes and Noble, Books A Million, and Powell’s. Kathy: The world of Tyme is so detailed and richly imagined! Tell us a little about the process of developing this world. Megan: Thank you! Tyme is a world that I co-created with Ruth Virkus. She and I have been friends for many years, and we’ve always enjoyed creating stories together. The way it tends to work is that we plot and plan, and then I go off and write until I come across a detail I don’t know. It can be a little detail, like the name of a street or a character, or it can be a big detail, like the governmental structure of a country or an essential plot point. I then circle back to Ruth, and we share ideas, opinions, historical information, images, personal experiences, and anything else that inspires us, until we’ve hammered out an answer that feels true to the series. We once spent a whole summer just inventing magical creatures! We both have active imaginations, and they really like to play together. Kathy: You came to publication by a slightly unusual route – working with an editor before an agent. Can you describe that process for us and how it affected your work? Megan: I had the extreme good fortune of being introduced to Cheryl Klein back in 2004, when I was a swooning Harry Potter fan and Cheryl worked at Arthur A. Levine Books (Scholastic) as the continuity editor of the Harry Potter series. When she agreed to read the first draft of GROUNDED, I was as elated as it is possible for a fan girl to be (read: MOST EXTREMELY ELATED). Cheryl sat down with me after reading the draft, and she gave me excellent critical feedback. She said that the story had a long way to go, but that she would be glad to look at it again when I revised it. For many reasons, I did not complete a revision that gave me joy until 2012, but when I did, I e-mailed Cheryl. We’d stayed in touch over the years, and she was still open to reading the revision. It was an amazing moment for me when she told me she loved it and wanted to work on it. She wanted me to cut 50 pages and rewrite the beginning before she could confidently take the book to her Acquisitions team. I trusted her and took her advice, and ultimately she was able to make a two-book offer. I am still amazed that I get to work with her. She is brilliant, sensitive, and incredibly hardworking, and I have great faith in her guidance. GROUNDED is a better book by far because of her. I also really lucked out with my agent. My first-choice agency was the Erin Murphy Literary Agency, because of the sense of community that Erin fosters among her clients. I wanted that sense of belonging, as well as wanting the agency’s amazing track record and expertise on my side. Alas, EMLA was closed to queries from anyone they hadn’t already met! Fortunately, Cheryl sent an e-mail to Erin about me, and Erin was willing to read the beginning of GROUNDED. Her reaction was very positive. She wanted to keep GROUNDED “in the family” but she had a full plate. Enter EMLA agent Ammi-Joan Paquette, who read the full manuscript and immediately offered to represent me – just two days before Scholastic made the offer. In the nick of time, I landed a great agent to help me navigate the deal. All told, I’ve been incredibly fortunate. Kathy: Rapunzel is such a wonderful narrator, in part because she is so innocent and we discover the world of Tyme as she does. What were some of the challenges of writing from the perspective of a naïve character? Megan: This is a great question. Rapunzel is an excellent device for revealing a fantasy world, it’s true; but her naiveté does complicate things. When her story begins, her experience is so limited that many simple, everyday concepts are outside her understanding. I wanted to honor that truth by allowing her to question many things, but I also had to create balance in the story. For there to be forward motion in the plot, she could not stop to question every single vocabulary word that might be foreign to her. I dealt with that challenge by making tough decisions about which words and concepts were the most important for her to question onscreen, for the sake of the story. Everything else had to go. It was hard to cut some of those conversations! Kathy: What are some of your strongest influences on your writing and how have they shaped your work? Megan: Louisa May Alcott and L.M. Montgomery were the first authors whose works felt as though they belonged to me. I was Jo. I was Anne. I read those books many times, and because I returned to them so often, they shaped my sensibilities. They taught me how I wanted to feel, as a reader. I would have lived in those books, if I could. 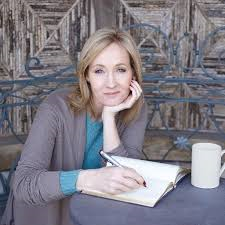 Now, as an adult, I read all sorts of things, but I’d be lying by omission if I didn’t mention J.K. Rowling. 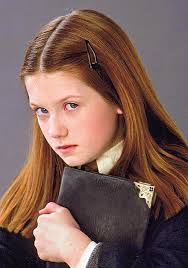 I fell in love with the Harry Potter books, so much so that I engaged in much ardent and public fangirling. Through that obsession, I met some of my greatest friends, including my husband. Those friends believed in me as a writer in a way that I didn’t yet. They encouraged me to take the endeavor seriously. In fact, I’d say that my friends and family have shaped my writing perhaps more than anyone else, because it’s they who give me the steam to keep writing, even when I think I can’t. The people who love me are capable of sustaining faith in me in a way that I can’t. I have often been told to believe in myself, but I find it a hard command to obey. The truth of the matter is that my belief in myself is, and always has been, inconsistent and unreliable. I’ve found it critical to surround myself with positive, encouraging loved ones – and then to listen to them when they tell me that I can do it. Kathy: What is your favorite thing about this book? Megan: Favorite things are not a strong point of mine. I’ve never been able to decide on so much as a favorite color. But I’ll tell you a thing I love very much about this book: It’s finished! Ha ha. But seriously, sometimes, that is my favorite thing about it. I did it. It’s done. What once seemed an impossible dream is now a tangible reality. Kind of like a fairy tale, come to think of it. A fairy tale that took many years and a whole lot of work – as most real fairy tales do. As a story, one thing I love about GROUNDED is that Rapunzel’s most harrowing adventure of all is not a battle, but a conversation. A long, honest talk. Those can be terrifying. Kathy: Can you give us a preview of what’s in store for the Tyme series? Megan: Each book in the Tyme series will tell a different fairy tale, and I anticipate six books altogether. All of the tales are set in the world of Tyme, and all of them overlap in some way or another. Ruth and I have been planning this series for over a decade, and in that time, I’ve drafted partial or complete manuscripts of every book, so I have a pretty clear picture of what’s coming. Many of the people and places that appear in Rapunzel’s journey – including Rapunzel herself – will turn up again later! Beauty and the Beast. In its classic form, I like that it’s about redemption and love in spite of appearances. 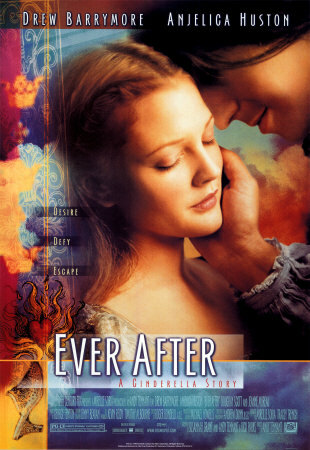 I know many people think this movie is cheesy, but I have always loved “Ever After”. I love that the prince’s first move is to start a library and a university, and it’s about equity for everyone, not just getting the heroine out of the muck. If GROUNDED were a movie, who would you cast as Witch? 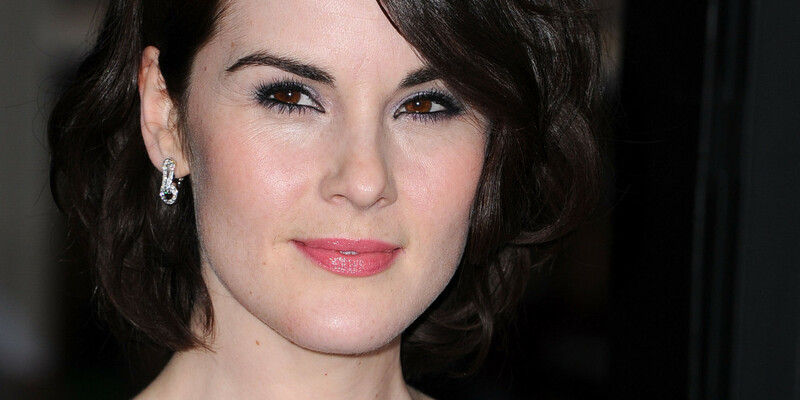 Michelle Dockery, who plays Lady Mary in “Downton Abbey”. She has the chops and the pathos, she can be tough and also very vulnerable. If you could go back and tell your 16-year-old self one thing, what would it be? Work harder at math – don’t assume you’re bad at it just because you don’t get it the first time. Stop being a quitter. 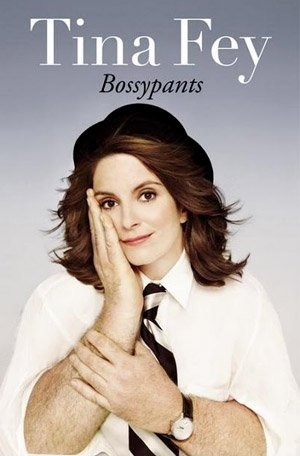 I just finished reading BOSSYPANTS by Tina Fey. I love Tina Fey and Amy Poehler. They put people who say women who aren’t funny right in their place. Actress. I did not want to be an actress, I was going to be an actress. There was no doubt in my mind. And if only everyone had known how famous I was going to be, they would have been a lot nicer to me. Favorite piece of advice for writers? Be open to criticism, really open to it. Try to really hear what people are saying when they give you feedback. I use the cringe test; if I read that piece of feedback and I cringe, then it means I have internally recognized it to be true. It’s embarrassing to have someone else point it out, but oh well. I’m lucky to have an editor who makes me cringe so very very much. If you could have lunch with any deceased author, which one would you pick? 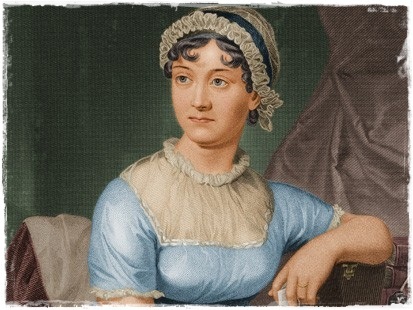 Jane Austen, because she is delightfully snarky and loves to notice the absurdities in other people. I think we’d get along just fine. If you could have lunch with any living author, which one would you pick? J.K. Rowling, and I still hope that one day I will have the chance! In my early twenties, living in New York, I worked as a news transcriber. I had to listen to recordings of the news and type everything I heard. It attracted a weird cross-section of people. I have heard some really weird news stories. It also taught me how doctored the news is, because I would listen to a three-hour interview and then see the six minute news story they ran with pieces pulled out of context from all over the place, and think, “Wow, that’s not what I heard in the interview”. What band did you love when you were 16 that you would still listen to? I still listen to U2 a lot, actually. B Bennett asks: Which Hogwarts House would the Sorting Hat put you in and why? Gryffindor, because it’s what I want. I’d be talking back to that hat if it tried to say anything else. Zsenya asks: How did being involved in fanfiction communities contribute to your evolution as a writer? Hugely! I didn’t even realize how much I liked writing fiction until I read Jane Austen and Harry Potter fanfiction written by other people, and then realized I wanted to do that too. I had written, but I had never taken it seriously. Fanfiction is imitative at first – you’re in someone else’s world, but that teaches you to notice their characterization, their voice, their world-building. That was a really great education for me, in a way that I needed. I needed to pay attention to red herrings and how they were planted. Every character in the Harry Potter universe has a distinct voice. Writing fanfiction made me pay attention to that. The other thing I got out of it was an audience. People wanted to read what I was writing, so I had to keep writing it, even when I got bored of it and got mean reviews. 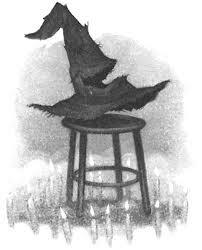 B Bennett asks: Moony, Wormtail, Padfoot, or Prongs? Zsenya asks: Which Harry Potter character do you most relate to? I would love to relate most to the trio, but I am not as smart as Hermione, or as brave as Harry, or as funny as Ron. I might liken myself to Lupin, but he’s a deadbeat dad for a second there, and I would never do that in a million years. Honestly, maybe Ginny. I am very familiar with a long unrequited crush, and I know a lot about not coming into your own until later. For Ginny she sort of came into her own at sixteen, and for me it was much later that I really felt comfortable in my own skin. Zsenya asks: As a teacher, which Hogwarts professor are you most like? Lupin. 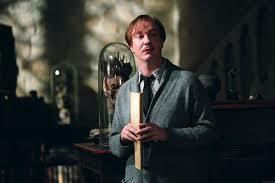 And I don’t say that because I think I am as cool or as lovable as Lupin, but I try to make learning fun and I try to listen to kids, and I’d say that probably more than half of my students would say I succeed in those things. B Bennett asks: What scares you? The thing that scares me most as a writer, particularly writing a series, is that I won’t be able to bring it in for a landing the way that I want to. I know the way I want to feel as a reader, and I want to give that to the readers. Whether I am equal to it is always a question in my mind. Zsenya asks: What magic spell from the Harry Potter books do you MOST wish were real? Apparate! I want to Apparate so bad! GROUNDED: THE ADVENTURES OF RAPUNZEL by Megan Morrison is available for purchase at Amazon, IndieBound, Barnes and Noble, Books A Million, and Powell’s. This entry was posted in Authors You Should Know, Interviews, On Writing, Recommended Reading and tagged Megan Morrison, Tyme. Bookmark the permalink.